The Vaqueros won game two of their afternoon-evening doubleheader. EDINBURG — Game one of Saturday’s afternoon-evening doubleheader looked a lot like UTRGV’s close win the previous night. On Friday, UTRGV built a three-run lead through seven innings before Maine charged back to tie the game with three runs in the top half of the eighth inning. 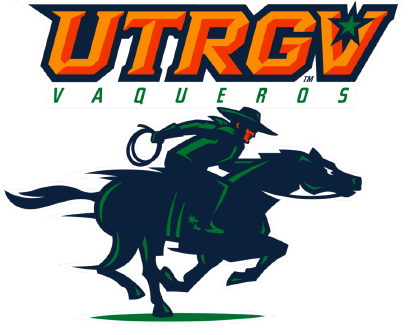 The opportunity later opened up for UTRGV to win another tight Friday night home game at UTRGV Baseball Stadium. The Vaqueros did just that after a base hit and subsequent throwing error allowed the winning run to score. UTRGV roughed up Maine starter Eddie Emerson early and often on Saturday afternoon. Third baseman Tyler Torres picked up an RBI on a bases-loaded walk in the first, and shortstop Ivan Estrella cranked a three-run home run to give the Vaqueros a four-run lead after two innings. Vaqueros starter and PSJA High alum Jorge Flores was virtually unhittable, shutting out the Black Bears through the first five innings. Maine clawed its way back again by putting up five runs in the sixth inning, chasing Flores from the game. UTRGV scratched together a run on an RBI single by Austin Siener that forced the game into extra innings. The Black Bears scored two in the 10th and won game one 7-5. On Saturday night, UTRGV let some of its offensive frustrations out on Maine starter Trevor DeLaite. DeLaite allowed 11 runs on 11 hits over 3 2/3 innings in the Vaqueros’ 12-1 victory. UTRGV (9-7) pitcher Trevelle Hill dazzled in the nightcap, throwing six innings of one-run baseball, allowing three hits, two walks and striking out four. The only run Hill allowed came in the first inning.